We offer optional guided tours of the Museum during normal opening times and these are included in the admission price. Tours do not run at set times and we aim to fit in with our visitors’ requirements. The tour lasts from 45 minutes to 1 hour. The Museum Tour takes in the Upper Wheel Pit (which houses temporary exhibitions), The Spinning Floor (the story of the Strutt family and their cotton spinning activities), the Cave of the Mill (a basement area where the architecture and operations of the Mill are described) and the Lower Wheel Pit (where you can see the pit once occupied the Mill’s huge waterwheel). 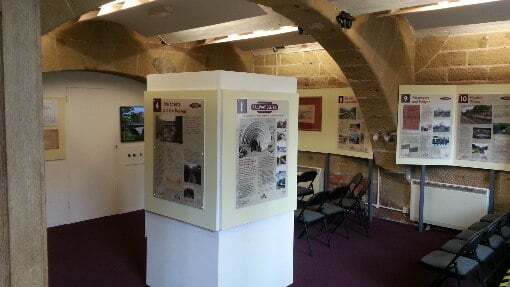 Alternatively, visitors can explore the museum at their own pace using the interpretative panels that tell the story in words and pictures. In addition, we also offer tours of the Museum to organised groups – click the button below for more information.